A tree came crashing down on this boat that was sitting on its trailer. Which insurance policy is likely to pay for repairs to the trailer? If you get in an accident while trailering your boat, do you know which insurance policy will pay for repairs to the trailer? Start with the basics. When shopping for insurance for your trailer boat, ensure to ask if the policy provides boat trailer coverage. Not all insurers provide it. Know the trailer value. If you decide to add trailer coverage to your boat’s insurance policy, your insurer needs to know the cost of the boat and trailer separately. If you don’t separate each out, the insurer may have difficulty in fairly compensating you in the event of a claim. How far can you trailer? Ask if there are geographic limits on where or how far you may trailer your boat. Check your auto insurance. Ensure your tow vehicle’s insurance policy includes liability coverage for any damage to others’ property caused while trailering your boat, for example, backing into your neighbor’s stone wall. This liability coverage is not provided by your boat and trailer policy. Check your homeowner’s insurance. 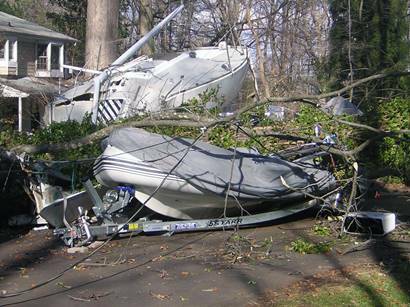 Ask your homeowner’s insurance company if your trailer is covered while stored at home. And try not to park a boat trailer under a tree. Read the fine print. If you store your boat trailer at your marina or other storage facility, read the fine print in your contract as it relates to insurance. Many include language that holds these facilities harmless. Review these clauses with your insurance company to make sure you're not in danger of a breach of the insurance contract, which could result in no coverage. Roadside assistance. For a nominal fee, many auto insurance policies offer roadside assistance. Boat trailers, however, aren’t likely to be included in the coverage and if there is a breakdown of the tow vehicle or the trailer, your boat could be left on the side of the road. Consider adding separate roadside assistance for your boat trailer. For BoatUS insurance policyholders, roadside assistance for both the tow vehicle and trailer (while towing) is included with the insured trailer. Or it may be added for $14 to any BoatUS membership. In either scenario, BoatUS Unlimited Trailer Assist will tow both a boat trailer and its disabled towing vehicle up to 100 miles. 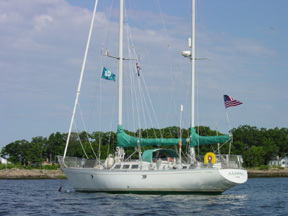 For more information, go to BoatUS.com/insurance or call 1-800-283-2883.